Dental technology has been successful in straightening crooked teeth for many decades. Unfortunately, many patients have shied away from traditional metal braces because it was simply too embarrassing. If that sounds like you, we have good news! Invisalign® technology not only effectively straightens your teeth, but allows you to enjoy a straighter smile without the embarrassment of having to wear metal braces! Dr. Klingsporn is pleased to bring this revolutionary dental technology to his patients from throughout the Austin, TX area. The first step in the process is to fit the patient with custom-made aligner trays. 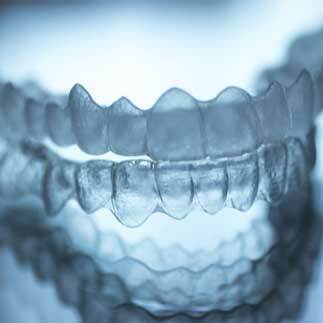 You’ll need to wear the trays for a minimum of 22 hours a day, but you will be able to remove the trays to eat and clean your teeth and gums. Then, every couple of weeks Dr. Klingsporn will provide you with a new set of trays as your teeth gradually move into their new, straighter position. Not only will you enjoy the benefits of a straighter, more beautiful smile, but you’ll be able to achieve that without anyone ever knowing that you’re wearing a dental appliance! Although Invisalign® is usually a very effective means of straightening a patient’s teeth, it’s not for everyone. Schedule an appointment with Dr. Klingsporn today to find out if this revolutionary dental technology is the best choice for you and your family members. For more information about Invisalign® technology, contact our office today. Our patient family extends throughout the Austin, TX area, and we would be pleased to welcome you and your family to ours!